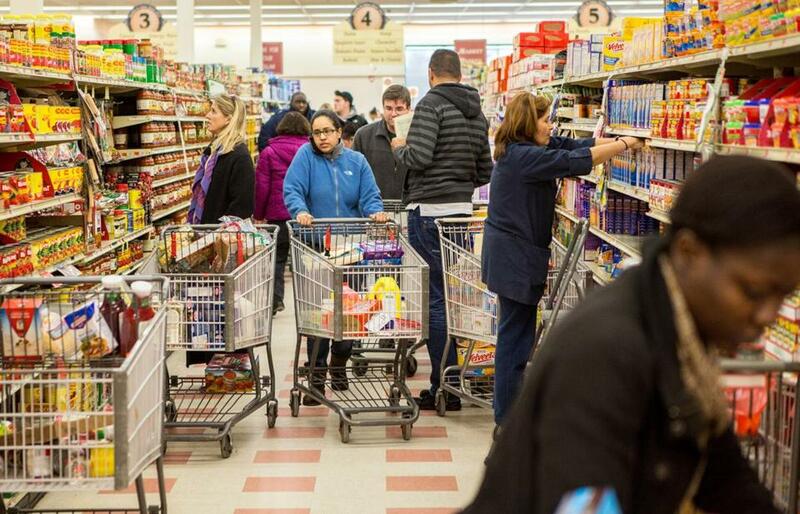 Shoppers prepared for an impending snow storm in 2013 at Market Basket in Salem. The governor may have jumped the gun last week, but it looks like the battle over Market Basket is nearly over and the supermarket chain can get back to business soon. Now everyone will ask: Can it ever be the same? There is no shortage of industry experts who warn that the things that made Market Basket special — significantly lower food prices for customers and generous compensation for employees — can’t survive with the kind of debt payments a resolution of the Demoulas family battle will probably require. I don’t buy it. Market Basket is certainly going to go through a rough patch once everyone comes back to work and tries to restock the empty shelves. But there is good reason to believe the company can again operate in the way that created so much loyalty among customers and employees. Arthur T. Demoulas plans to spend about $1.5 billion to buy the 50.5 percent of the supermarket business owned by rival cousin Arthur S. Demoulas and his side of the family. That will indeed require a boatload of borrowed cash. The employees made this happen, and did so despite threats to their livelihoods and risks that their tactics might backfire. But here's the good news: Under normal circumstances, Market Basket practically prints money. It is a great business with a steady cash flow and lots of valuable long-term assets. Like any family business, Market Basket does not routinely disclose a lot of financial information. But this is the Demoulas family we’re talking about. As they’ve battled through the years, a number of details about their commercial interests have spilled out in public. For example, it was disclosed that the business distributed about $1 billion to its shareholders between 2000 and 2010. Half of that money — an average of $50 million per year — was sent to shareholders who will no longer be owners of Market Basket if and when a sale takes place. Those distributions didn’t appear to require a lot of heavy lifting at the supermarket company. Once Arthur S. Demoulas gained control of the board, directors authorized an additional distribution of $300 million to owners. One other important fact about the Market Basket business: The company expanded aggressively for years without relying on borrowed money. It paid most of the expenses with cash generated by the supermarket business. If Market Basket simply put a stop to its expansion plans for a while, that money would be available for other uses. Now consider the sale of the business to Arthur T.’s side of the Demoulas family and the three ways he has said he would pay for it. First, they would put up some of their own cash. Then they would borrow as much as $550 million, with the help of their financial advisers at Blackstone. Finally, they would mortgage a good deal of the commercial real estate Market Basket owns. Big institutional investors that put money into real estate love shopping centers anchored by supermarkets. The owners of property like that can borrow at a fixed interest rate of about 3.6 percent right now, according to people in the commercial real estate business. A company borrowing $1 billion at that rate might pay about $50 million a year. That’s about equal to the distributions Market Basket made to Arthur S. and his relatives for a decade — obligations that won’t exist after a sale. It’s harder to estimate what the loans for the remaining amount — about $550 million — would cost. That interest rate depends on many private details about the supermarket business and the structure of the loan. It won’t be cheap, but that debt could surely be refinanced in the future. 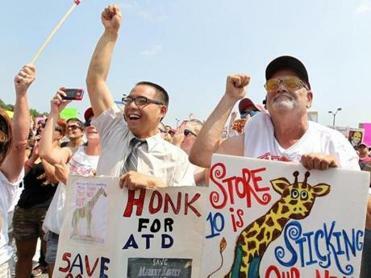 A full recovery at Market Basket won’t be easy, and it isn’t guaranteed. But the business that created so much loyalty has a good fighting chance. Correction: An earlier version of this column incorrectly named the financial firm advising Arthur T. Demoulas’s side of the family.